Model by Cherry Hill based on general arrangement drawings and measurements of original roller No 14277. 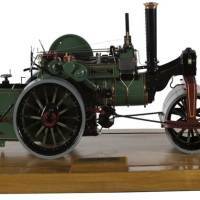 Original engine built by Aveling & Porter. Scale 1/16th and 0.75 inches to 1 foot.